Has your vehicle been involved in a fender bender? Do you need a lift to a nearby service station? Green Towing offers the most secure tow dolly solutions for quick transportation. 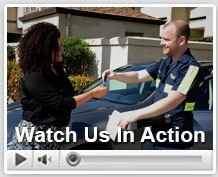 Our professional roadside crew works 24/7 to bring you the best emergency roadside coverage in San Diego. Our tow dollies are strong enough to carry almost any ordinary-sized vehicle. We’ll have your car safely attached to our durable tow dollies in an instant. We offer 30 minute arrival timing for all roadside emergencies. Your vehicle will be supported and secured by our flatbed trucks. Our drivers will secure the front wheels of your vehicle onto the tow dolly for maximum protection. We never exceed the speed limit to ensure that your vehicle arrives in perfect condition. Tow dollies are primarily used for emergency towing situations. If you’re having problems with the transmission or engine, we can provide an immediate tow dolly 24/7 to the scene. Our tow dollies are powerful and efficient. Green Towing provides you with the best quality towing & roadside assistance services that includes; tow dolly services, emergency towing, flatbed towing, flat tire change, dead battery replacement, jump start services, out of gas refueling, private property towing, accident removal services, emergency lockout solutions and more. Tow dollies are light and can be used anytime for any type of emergency roadside assistance towing. We keep a steady pace of 55 MPH and head to the nearest service station for repairs. Tow dollies are essential for roadside emergencies. A flat tire may be easy to repair on the spot, but you’ll need to eventually get a brand new tire to fit into place. You cannot ride on a dummy tire for long. We know several reliable auto body shops in the San Diego area. We’ll have your vehicle towed to a trustworthy auto repair shop. Tow dollies are less expensive than the traditional list of towing services. 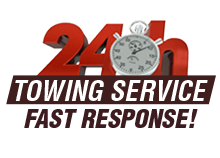 We offer affordable roadside coverage for all towing services in general. Green Towing is your one-stop-shop for all major towing and roadside emergency assistance services. We have a fantastic team that can be contacted 24/7 for complete roadside coverage. We know our way around the San Diego neighborhoods, since we’ve been working in the towing industry for many years. We’ll find the best and shortest route possible to have your vehicle towed safely away. You can keep our phone number stored on your contact list for emergencies. We’re renown for our exceptionally fast arrival timing for emergency situations. We work super hard to keep you safe on the dangerous roads. You can always expect top quality roadside assistance with Green Towing. We also work with all major roadside insurance carriers. Our friendly support staff will jot down your information and send a nearby roadside technician to assist. Give us a call for a free estimate today.